See the best of the Canadian Rockies on this 5-day rail adventure combining cosmopolitan fun with spectacular natural beauty from Vancouver to Calgary. Sometimes you just need to get away, even if only for a few days. 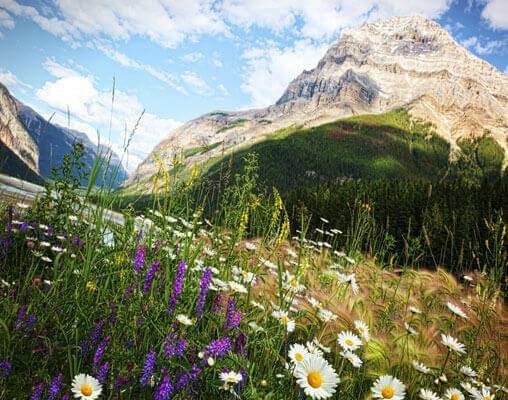 This 5-day retreat into the Canadian Rockies is the perfect getaway, combining both sightseeing and relaxation, and of course spectacular scenery. Start your trip in Vancouver, where you'll have time to explore on your own. The next day, your train journey starts with a trip to Kamloops on the Rocky Mountaineer. 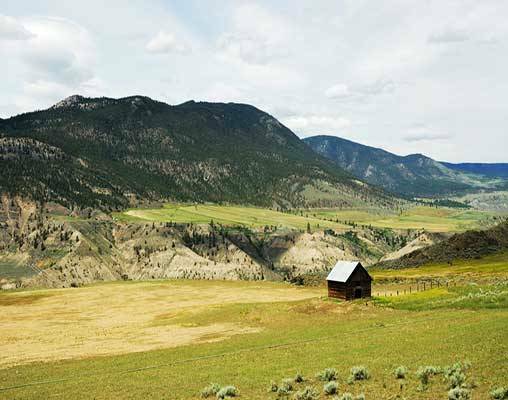 You'll pass through the rushing waters of Hell's Gate in the Fraser Canyon, and ride along the winding path of the Thompson River on your way into the heart of British Columbia. Continue to the Canadian Rockies, traveling through tunnels and emerging into grand vistas as you make your way to Banff, one of the world's most famous resort towns. Here, you'll have time to enjoy the stunning views while on a tour of Bow Falls, Lake Minnewanka, and more. 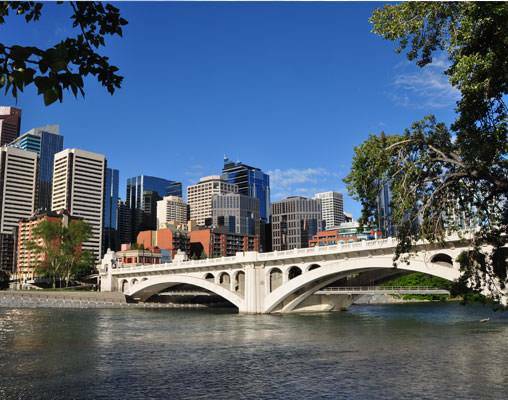 Your getaway ends with a night in Calgary, a fun city mixing cosmopolitan city life with Wild West culture. Arrive in Vancouver and spend time exploring this scenic city on your own. 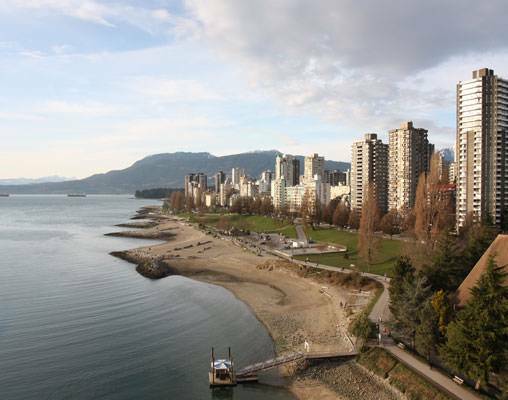 Included is admission to the Vancouver Lookout, offering panoramic views of the city. Overnight in Vancouver. 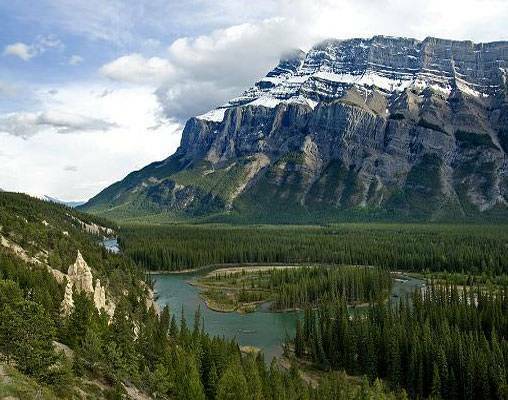 Begin the morning with a sightseeing tour of Banff. Among the points of interest are Bow Falls, Lake Minnewanka, Surprise Corner and the Hoodoos. A trip on the Banff Gondola is included. After the tour, you will be transferred to your hotel in Calgary. Enjoy included admission to the Calgary Tower. Overnight in Calgary. Your vacation ends with check-out from your Calgary hotel. 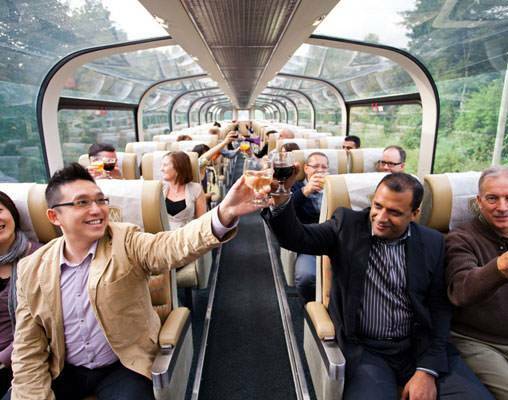 Extend your rail vacation with new city packages in Chicago, Toronto, and Vancouver. Optional pre- or post-night packages include hotel accommodations for two nights and popular local sightseeing, and may be added to the beginning or end of qualifying rail vacations. Look for the Extend Your Vacation icon to identify those vacations which offer new city stay packages. Ask your rail specialist for details about these pre- and post-night extensions. Take in the awe-inspiring scenery of the Canadian Rockies through the panoramic windows of the custom-designed single-level dome coach in the new SilverLeaf Service. Hotels include Sheraton Vancouver Wall Centre, Delta Banff Royal Canadian Lodge, Delta Calgary Hotel. 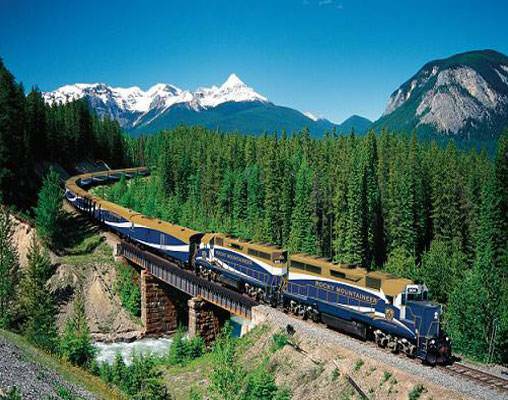 Discover why travelers rave about Rocky Mountaineer GoldLeaf Service. A custom-designed bi-level dome coach puts you right in the middle of the awe-inspiring scenery of the Canadian Rockies as you enjoy gourmet meals prepared by talented onboard chefs. Hotels include Fairmont Hotel Vancouver, Fairmont Banff Springs Hotel, Fairmont Palliser Calgary. Spoil yourself by making your Rocky Mountaineer GoldLeaf rail journey through the Canadian Rockies a deluxe one. Enjoy all of the same luxurious onboard amenities in GoldLeaf Service plus deluxe hotel accommodations. Hotels include Fairmont Hotel Vancouver, Fairmont Banff Springs, and Fairmont Palliser. Click here to view testimonials for Excursion to the Canadian Rockies. Everything was just perfect. The service, food and passengers made this trip exceptional. $1,943 Please call for availability. $2,111 Please call for availability. $2,670 Please call for availability. $2,860 Please call for availability. $2,789 Please call for availability. $2,981 Please call for availability. Enter your details below if you would like to be notified when 2021 dates and prices are available for Excursion to the Canadian Rockies. Prices are correct at the time of publication, however are subject to change at time of booking. Hotel and Rail accommodations listed above, are subject to change based on availability at the time of booking. Prices are in USD. Meals (B = Breakfast, L = Lunch, D = Dinner) Prices are per person, based on double occupancy. Taxes are not included on rail portions and are subject to change. Prices for triples and children are available upon request. Please note all accommodations in Kamloops are of moderate standard.